So me and the girls, well 2 of them went to the beach of Friday, which was a fun little outing. Since we live in a land locked location, we do have to go a way to get to the beach, but in the end I’m not driving, although that reminds me I’ve got to pay my friend £8.50 for the drive and she bought me chips, because I didn’t have any cash after paying for parking. It was a surprisingly cold day, alright it wasn’t actually cold just windy, which made it too cold to swim, but we paddled and since the tide was out we had a little adventure around the beach, along the way we found a crab with no legs on it’s back on the sand, so my friends made me crush it with a rock and it’s pancreas splattered all over my legs, which were already covered with mud. So after climbing over the fish hook ridden rocks, we washed off in the sea, which of course made my legs, sting because I had dry shaved my legs that morning, because I’m silly. Anyway it was a fun day, although I teased my friends about getting a boyfriend, by pretending to try and find her one there – I honestly couldn’t see what half the men I was pointing at looked like. I also got my exam results back and I passed both my exams for the summer, but they want me to retake the one I took just after Christmas. Honestly I’m not surprised, I wasn’t in a good place before that exam and hadn’t eaten since I went back from my Christmas break, so things weren’t good with me. So I’m hoping I can convince someone, probably the father. to drive me down there to retake the exam, because I do not have the money for the train. I’m also worrying about next year, since me and the new flat-mates still haven’t worked out who’s having which room and I think it would probably be a bad idea to do it on a first come first served basis, because I think that could cause some resentment among the masses and that won’t make for a nice flat environment. 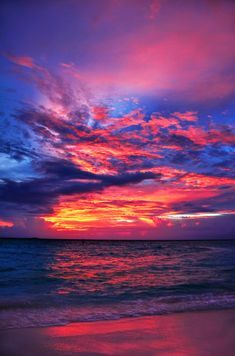 I’m still looking for work, but as the week whittle by I’m thinking less and less that I will actually get one and I’m now thinking to the future, getting a job for next year in Bournemouth. I’m also going to volunteer to do the bill paying for next year, because I think I’ll be alright at it and also it might make it easier to keep track of my finances and all that jazz. Speaking of finances, like a fool I’ve been out buying things, well not literally out. I got them online, because in the end sometimes that the cheapest way, although that does promote my hermit status. Any ways I got myself some more books. 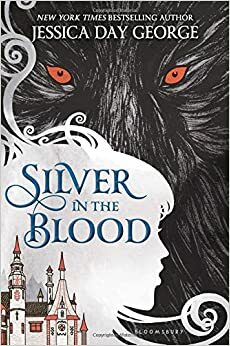 There’s a couple series I’m working my way through at the moment, such as the house of night series and the study series, as I like to call it, although I don’t think that’s it official name, but in the end I didn’t get the next book of that series, because it was a little expensive at the moment. I got another series from the same author. I ended up buying all three books in the Trilogy, because it was cheaper to do it like that. So I ended up buying 6 books; The entire Opal Cowan trilogy – I think that’s what it’s called. 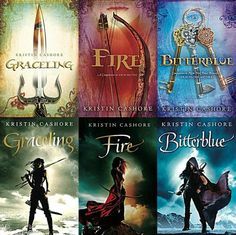 And Graceling, because I’ve read Fire already do I wanted to read the other two, although Graceling is meant to be read first, but for some reason the father had Fire and not Graceling, and The next book in the House of Night series; Hunted. 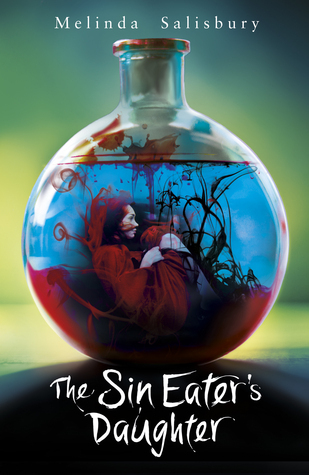 And finally a new series – I think it’s going to be a series any ways – The sin eater’s Daughter. So I’ve got some book to work through until Christmas – not that I think it will take that long to get through them all – when I’m going to ask for the rest of the books that I want, such as Amy Ewing’s new books; The white Rose and The house of the stone, and then of course I want some books from my favourite Author – or at least one of them – Wednesdays at the Tower and other books in that series and Silver in the blood. I’m also thinking about taking the father’s girlfriend up on her offer to come down to Bristol and stay with them for a week or so. Not this week but perhaps next week. The main reason being that I want to check out the lesbian establishments down there, since Herefordshire apparently isn’t super homo-friendly apparently we don’t even have Pride any more, due to lack of interest or something – come on guys!